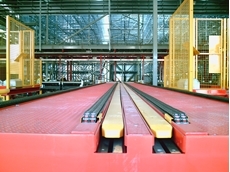 Materials handling specialist Industrial Conveying (Aust) is designing customised and automated roller floors for truck trailers for fast loading and unloading. Transporters and third-party logistics providers are constantly seeking to reduce handling times. 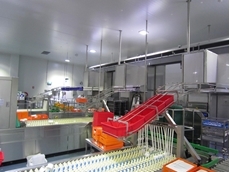 Tailored solutions from Industrial Conveying (Aust) are helping these businesses become more efficient in operation. The company’s range of adaptable trailer floor technologies caters to all logistics requirements, with the key component being their ability to engineer solutions to specific needs. Managing Director of the company, Mr Don Erskine comments that companies running truck fleets recognise that their vehicles are very much like a travelling warehouse that demands efficiency in stock transfer. Erskine says that simplified and expedient loading and offloading increases productivity when using trucks, so their solution takes the heavy dependence on forklifts out of the equation and makes truck floors the focus of product movements. According to Erskine, in addition to the solution offering more speed and efficiency in handling stock, it also increases occupational health and safety (OH&S) levels because all movements are at ground level and limited lifting is involved. 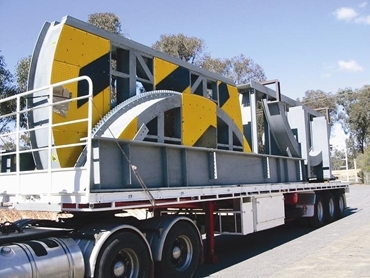 Being a relatively new field of logistics and materials handling, the specialised engineers at Industrial Conveying (Aust) are able to design and install optimised trailer floors to meet specific requirements. 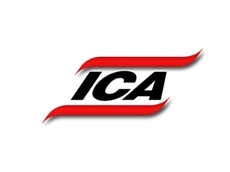 ICA’s automated trailer floors are roller floor systems that allow for a roll-on/roll-off ability of product. Integrated with an air raise and lower function, the roller floors allow the transfer of product into and from trailers with minimal effort. The ability to lower the rollers allows the product to be transported with full contact between the product and the trailer floor for constant safety. 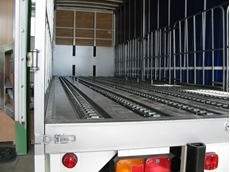 Truck trailer technologies from Industrial Conveying (Aust) also include chain floor systems that allow for a positively driven transfer of product to and from a trailer with or without air activation. Chain floor systems reduce the associated labour and forklift handling time.